Humans have done a pretty good job of exploring the Earth thus far, climbing mountains and crossing continents and planting our flags all over the place in the name of science. But one part of the world that has remained pretty mysterious to us also happens to cover more than 70% of its surface: the ocean. Yes, we have sailed across it plenty of times and drilled for oil in it. And managed to create reality shows about fishing in it. But, from glowing oceans to massive deep-sea creatures and underwater ecosystems with thousands of undiscovered, basically-alien, species. We still have a lot to learn about it. Probably more than any place on Earth, the ocean is full of fascinating stuff that we just don’t know. Not yet. Number One: What’s The Ocean Floor Like? Fact is, we still don’t know exactly what the ocean floor looks like in most places. The National Oceanic and Atmospheric Administration say that 95% of the ocean's bottom remains unseen by humans. As a result, we have a way better picture of the surfaces of other planets than we do of most of the seafloor. In 2014, a team of scientists created a map of the seafloor using data from satellites equipped with special sensors called radar altimeters. These instruments could precisely measure the distance from the satellite to the surface of the ocean below. 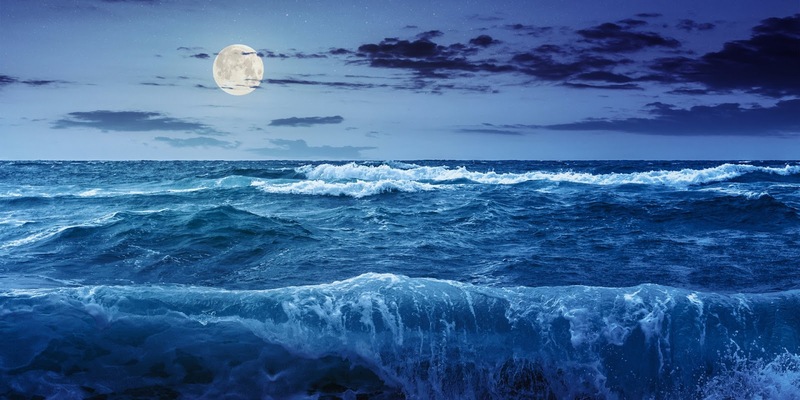 Essentially, any large mountains or canyons on the ocean floor have a slight gravitational effect on the ocean surface, creating bumps and dips, respectively. These variations are of course too subtle to be detected by human eyes. But they can be measured by these ultra-precise satellite altimeters and after adjusting for the effect of waves and tides, tell scientists what’s on the seafloor. This map spans the entire ocean floor, which is awesome and we are all glad that it exists, but it only has a resolution of about 5 kilometres, which is pretty low. By comparison, most of the surface of Mars, Venus, and the Moon have been mapped to resolutions of 100 meters or less. So, if we want to know what’s going on down there and really explore the ocean, detecting life, specific mineral formations or wrecks, we are gonna need a better map. Number Two: What’s Under The Seafloor? OK, probably thinking that you know what’s down there: rock. Yes. But not just rock. 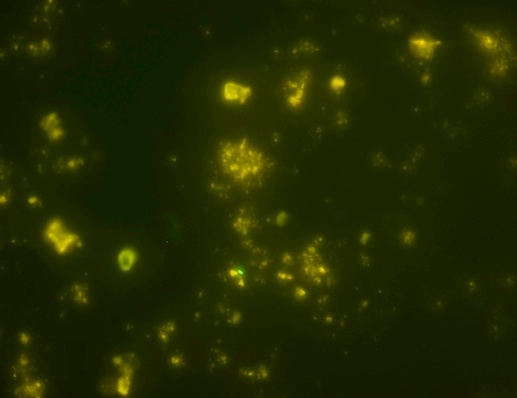 In 2015, scientists reported that they had drilled down about 2 and a half kilometres below the seafloor off the coast of Japan, and discovered living microbes. There were only about 10 to 10,000 microorganisms in a cubic centimetre of sediment that they studied, compared to like billions that you’d find in the same amount of dirt from your garden. But still: There's life down there, even in the intense heat and pressure many kilometres below where the ocean stops. And the genomes of these under-sea microbes showed that they were actually more similar to the kind you’d find in forest soil, rather than the ones in seafloor sediments. We have all seen lakes and rivers on land, but what about lakes that are underwater? Sounds a little bit unreal, like maybe it’s from a Sci-fi movie but these features actually exist. Pockets of seawater that have a different composition than the surrounding ocean: because they are super salty. They are known as brine pools. They seem to have formed when layers of salt from evaporated oceans millions of years ago got buried under layers of sediment. Seawater can reach these deposits and mix with the salt, forming a dense brine that flows out of the seafloor, sometimes filled with oils or methane gas. 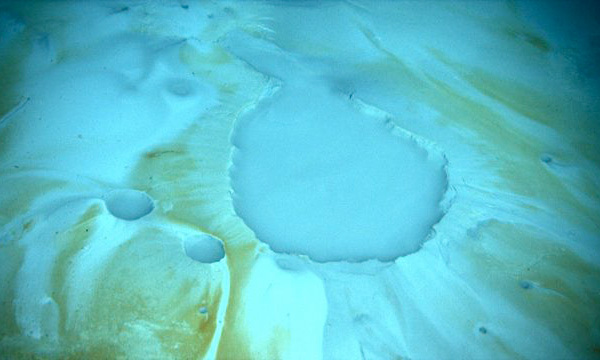 Some brine pools, like those found deep in the Gulf of Mexico, are four times as salty as the ocean water around it. The brine is so dense that submersibles can even “float” on top of it, like a boat on a lake. All of this salt makes brine pools lethal to larger animals. But colonies of halophilic or salt-loving microorganisms can flourish there, usually in much higher concentrations than the nearby normal seawater. Some pools are even lined with mussels that have symbiotic bacteria in their gills, which use the methane in the brine to make energy for the mussels. But there’s a ton that we don’t know about these weird underwater salt lakes like how brine pools can be so different from each other and why some have mussels and others don’t and even how many there are? Milky Sea also known as mareel, this is a phenomenon in which thousands of square kilometres of the ocean’s surface glow a brilliant whitish-blue. It lasts for such a short time, and there have been so few recorded sightings, that these glowing seas were thought to be a myth made up by crazy sailors. Until 2005 when a group of researchers was studying satellite pictures of a swath of the Indian Ocean from 1995. These pictures showed an area of about 15,000 kilometres-square, around the size of Connecticut, glowing for 3 nights. 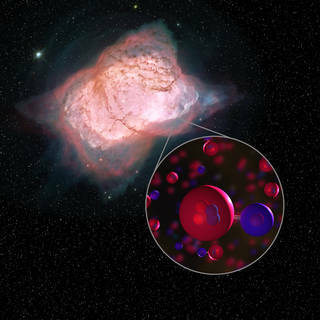 It was the first scientific evidence of the phenomenon, but the glowing waters are still not very well understood. 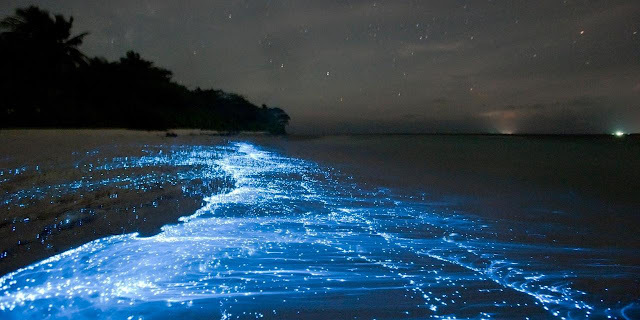 Some have suggested that the glow is caused by a mass of tiny dinoflagellates called Noctiluca scintillans also known as “sea sparkles” for the way they glow when disturbed. These protists are what cause the picturesque glittering waves along coastlines in some parts of the world. 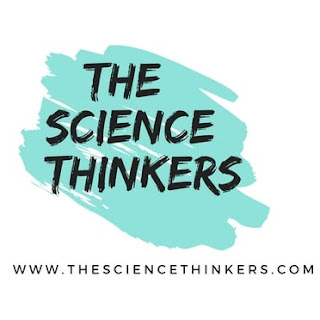 But the 2005 study found that it was “unlikely, if not impossible” that the short-lived glowing of dinoflagellates was what scientists had been seeing from space. The prevailing theory these days is that milky seas are caused by massive colonies of bioluminescent bacteria that are growing on top of an algal bloom. But we are still not sure how or why these ephemeral masses of bacteria gather, glow and disappear. You would think we would know a lot about whales. I mean, they are big, we have their skeletons and we can observe their migratory patterns. But one thing we still have a lot more to learn about is their songs from why some whales make them, to how an animal without vocal cords or lips manages to make song-like sounds. Then there is this question what whale is producing the 52 hertz sound and why? This whale song was first noted by a technician on December 7th, 1992 in the Northeast Pacific Ocean. 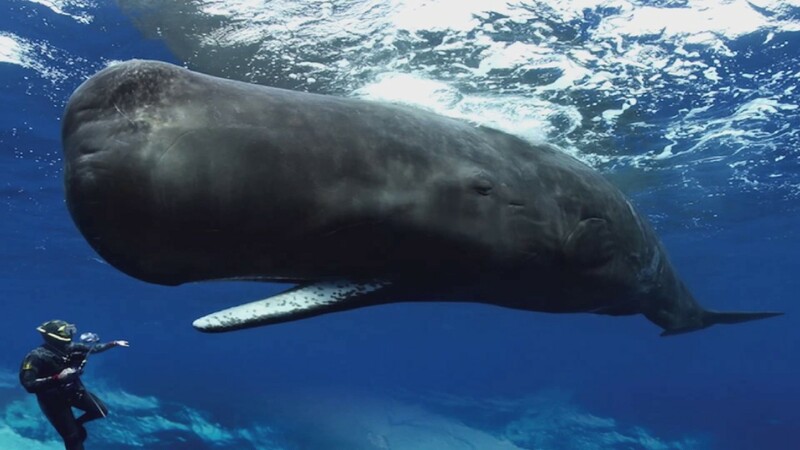 It sounded like a blue whale, but blue whale cries usually are somewhere between 15 and 20 hertz in pitch. But this whale cries at 52 hertz in pitch. This high-pitch noise seemed to be unique to one animal a whale that became known as 52 Blue. This raises a lot of questions and we have to know more about whales to be able to answer some of them, like, why does this one whale sound different? And can others even hear it? And if they can hear it, do they understand? Some people latched onto to the idea that 52 Blue is a lonely whale crying out to others that might not hear it or wouldn’t call back. But several scientists have rejected this lonely narrative and think that other whales may be able to understand its call, even if they can’t make that call themselves. Also, 52 blue seems to migrate independently from any other whales. 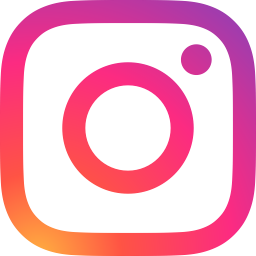 But its migratory patterns do look kind of like those of blue whales. Scientists have been tracking it up and down the North Pacific from Alaska to Mexico for years now. So some researchers think it might have some malformation that has changed how it sings or maybe it’s even a hybrid between a blue whale and another species. Whether or not it’s a lonely whale, 52 Blue is an oddity that people seem to love. Now, ocean sounds are practically their own field of study, NOAA has been monitoring acoustics in the ocean for decades now. 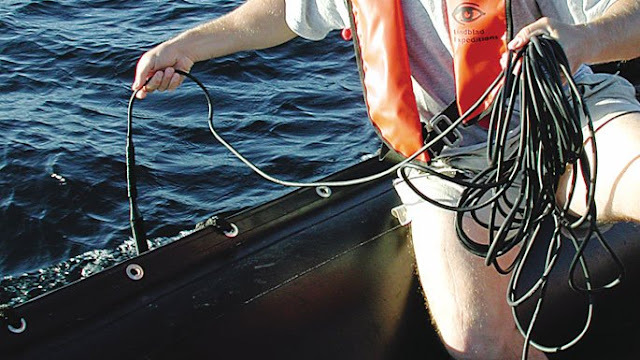 Instead of microphones, which are used to collect sound in air, NOAA uses hydrophones to record underwater sounds. Mostly, these hydrophones are used to listen to the ambient sound of the ocean, to see how humans might interfere with it, and to listen for things like earthquakes and whale calls. And sometimes, they record things that are hard to explain, at least for a while. In 1997, for example, there was what was known as The Bloop, an extremely loud, low-frequency sound heard by hydrophones some 5,000 kilometres apart. Oceanographers recently determined that it was the result of an icequake. Icequake: the cracking and collapse of glaciers into the ocean, in this case on the coast of Antarctica. But there’s another mystery sound from the ocean, known as Upsweep. Recorded in August 1991, it sounds like a repeating “boop” that picks up at the end sweeping up kind of like the “red alert” sound effect you hear on spaceships in sci-fi movies. Number Seven: Why Are Deep-Sea Creatures So Huge? From the Whale to Japanese spider crabs, many deep-sea creatures are unusually huge and gigantic. 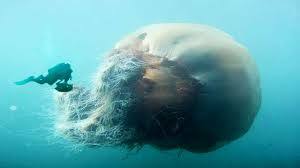 This phenomenon is called deep-sea gigantism. But what drives it is unknown! In the deep sea and especially near the polar oceans, some animals seem to get really huge like colossal squids, giant isopods and Japanese spider crabs. Scientists aren’t sure why, but they do have some guesses. There’s Bergmann’s Rule, for example, which suggests that temperature may influence gigantism. This might be because larger animals have less surface area relative to volume, so they radiate less heat based on their mass and stay warmer in colder climates. Then there’s Kleiber's Law, which states that more massive animals generally have lower metabolic rates and therefore need less high-quality food to survive. Still, other theories suggest that gigantism may help organisms resist increased pressure of the deep sea. But we don’t really have conclusive biological reasons why these giant creatures exist. So, the ocean is just full of mysteries, maybe because it is so huge and dark and deep. But just so you know that we are not saying that these 7 topics are things that Science Can’t Explain. Instead, you should just think of them as reminders of how much we still have to learn about the ocean. As our technology improves and our access to the ocean takes us to new depths, we will be able to see and hear and sample more stuff than we ever have before. So in time, these puzzles will be solved, and new creatures will be discovered and our understanding of our planet and the life on it will be that much deeper.